Imagine a bridge crossing over a tidal estuary, a local landmark that deeply resonates with an entire community; a bridge that is a living laboratory for researchers, engineers, future engineers and the general public. 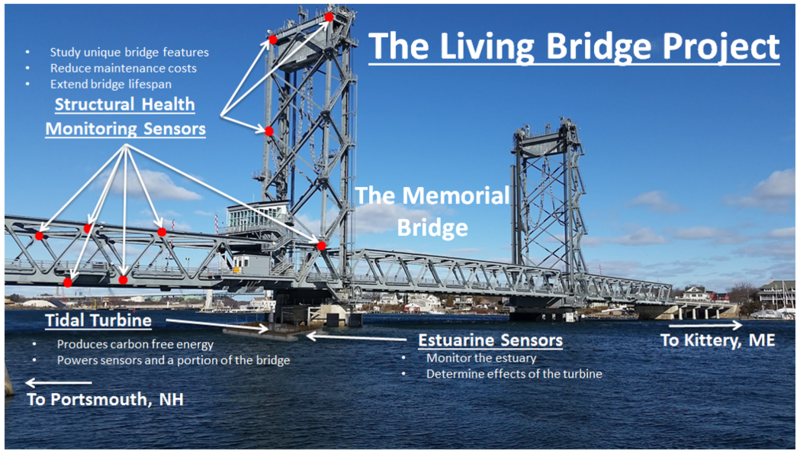 This bridge is instrumented with sensors that capture structural performance, traffic patterns, environmental conditions, the behavior of innovative bridge design elements and enable and promote community engagement. 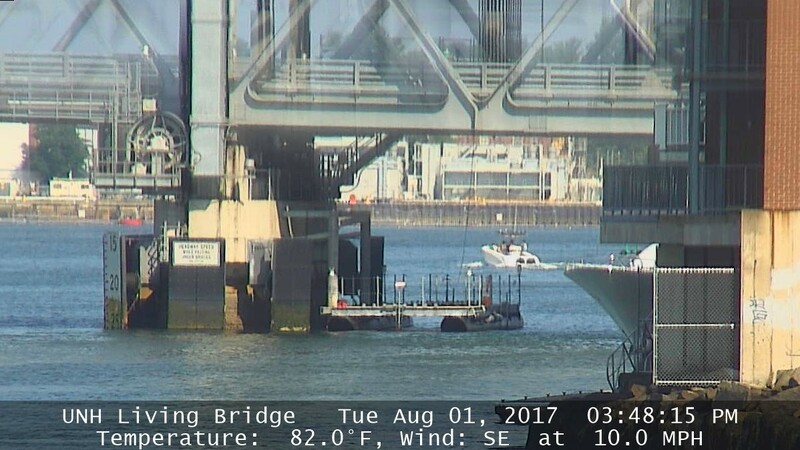 The information collected with these sensors is shared with researchers, bridge designers and the bridge owner, but also, where appropriate, with K-12 classrooms and the public. Aesthetic lighting and social media is used to communicate relevant information from the bridge and environmental sensors, such as weather, tides and traffic to the local community. The bridge sensor network, information communication system and aesthetic lighting are powered by a locally available renewable energy resource, tidal energy. This bridge has the capability to advance all aspects of community engagement with infrastructure, clean energy innovation in tidal energy conversion, energy storage, structural and environmental impact and social perception of our engineered environment. The proposed sensing network, including structural response sensors, underwater instrumentation and cameras, and weather stations, will allow for a complete system-based evaluation, including the impact of the tidal turbine. This “smart bridge” provides a platform for continued innovation of sensor, communication and energy technologies. This is the vision behind the Living Bridge project.